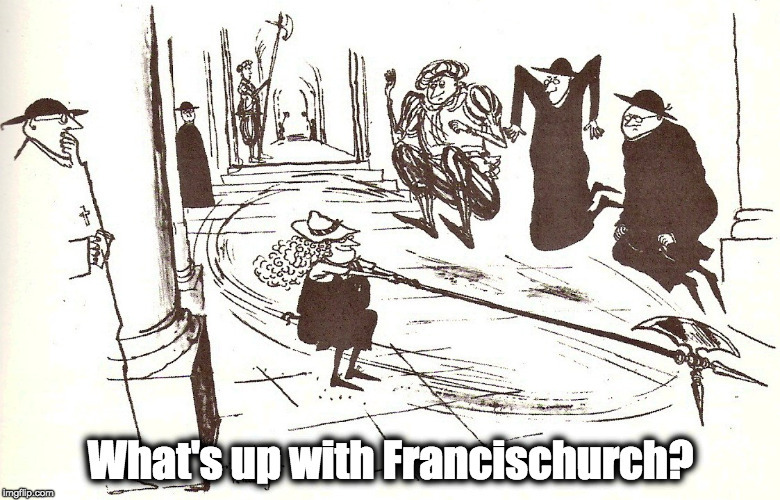 What you do during a catastrophic earthquake – What's Up With Francis-Church? Martha, if Obama keeps sneaking in Muslims you may find things picking up. love, Love, LOVE St. Philip Neri. I had the privilege of visiting his body in Rome. St. Joseph, Terror of Demons, ora pro nobis. So cool!!! Well, you know. Such history! Here in the States all I can imagine happening in the place I’m standing is perhaps a bison relieving itself. Thank you for that quote, Hilary! How totally emblematic for our times! Did you see the photo circulating on the internet of Our Lady’s statue miraculously remaining intact amid the rubble of a church in Arquata del Tronto? Blessings to you, my sister! We are praying with you!